Instagram has quickly become one of the most powerful social media platforms. The growing popularity of Instagram has made brand presence on the platform a no-brainer for most companies. There are many management tools and services offered to help make your life as a social media manager easier. Managing Instagram can be quite difficult. 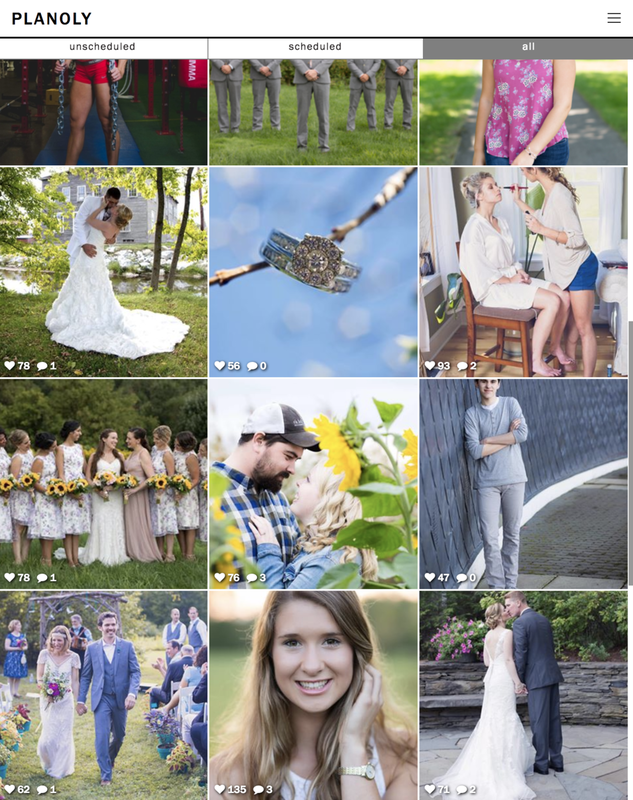 I've personally used multiple Instagram management tools that I was never too thrilled by. My absolute favorite tool that I was recently introduced to is: Planoly. Essentially, Planoly is the first visual planner for Instagram that I have grown to love. Planoly was thoughtfully designed from a designer’s and editor’s point of view. For any business, it is vital to have a beautiful and consistent profile on Instagram. I was recently introduced to Planoly by one of my social media clients, Amanda Rose Photography. We were searching for a platform that would allow us to schedule posts while also being able to see the feed visually. Being a photography client, it was very important that her Instagram profile had a color scheme and posts were going up daily. Seeing the photos before they are sent to be published on the Planoly dashboard, has made my job as the social media manager a thousand times easier! I am able to easily schedule Amanda's posts from my desktop or mobile device. Planoly offers many different pricing options which are very affordable. We currently use the 'Duo,' costing only $15.00 per month. 2 users are allowed on this plan, meaning that Amanda is also able to upload photos from either of her devices as well! Using Planoly is a breeze. It is very easy to upload photos, enter captions and also schedule your photos. Once you have scheduled, like other Instagram management platforms, Planoly pushes the post to your mobile device when it is time to publish. One of the biggest benefits of Planoly is having a place for all of your unscheduled images. Instead of keeping all of your images saved on your phone, you can easily upload all of the photos you want to publish and Planoly will save them in an "unscheduled" section of the platform. Another huge benefit to Planoly is being able to see all of your analytics. The dashboard is set-up in a very user friendly way. Analyzing your posts is easier than ever. Now that multiple photos are able to be uploaded to Instagram, Planoly has an added feature that supports uploading multiple photos at the same time. Keeping up with your Instagram comments can be quite difficult if you are managing for a large brand. Planoly integrates comment notifications and also 'like' notifications if you choose to use them. The newest addition and my favorite benefit to using Planoly as my Instagram management platform is the hashtag manager. The new feature says goodbye to copying and pasting from your notes! With the new feature, you can easily add hashtags to your posts, create hashtag categories, and increase your engagement. Another great thing about Planoly is how they operate as a company. Since I have started using Planoly, there have been multiple updates introduced to keep the platform relevant and better than all of the other Instagram management tools. The new addition of the hashtag manager is my new favorite feature. With the beautiful, simple design and clean, user-friendly interface, I can proudly say I use Planoly for all of my Instagram management needs. Now that you know the main reasons why I fell in love with Planoly and believe it is The Best Instagram Management Tool, what are your favorite tools? Disclaimer: Links to Planoly throughout this post are NOT sponsored by Planoly. This is all my own opinion.